A truly inclusive democratic society involves everyone in the political process, but in some areas of the country a segment of the population remains marginalised, namely the youth. This usually is as a result of institutional and policy constraints that have hindered youth involvement and left them sidelined from the democratic process. This trend is beginning to change however, as the recently concluded Kenyan elections have shown the crucial role that the youth can play in the system. Kenya’s large youth population is seen by many as a potential strength of the country; but is also the most vulnerable segment of the population however, suffering from systemic poverty, lack of education and a high rate of disease. Young women are particularly vulnerable because they must also withstand greater acts of gender based violence and sexual assault. Even though some fear that disenfranchised young people pose an imminent threat to national security and political stability, their involvement in the political process is still limited. Instead, many politicians have utilised the youth’s voting clout for their own political agendas, thereby exploiting the youth through the political process. It is this type of mentality that has at times resulted in violence. While such violence is caused by a variety of factors that differ depending on the country or situation, it can be determined that youth involvement in election violence is often driven by dissatisfaction with government policies or with ongoing manipulation by politicians that seek to gain support by ethnic, religious, or tribal divides. Although a particular youth group might pledge support to a candidate or political party with hopes of material gains or greater political influence, these promises are often not fulfilled. In reality, the youth are often used as pawns in the political game by veteran politicians. These occurrences have hindered the development of young political leaders and have resulted in a situation in which many young people fear that there is no way to peacefully assert themselves in the political system. Understanding the important role that youth play in the political process is vital for the future stability and growth of the country. Using young people for mechanisms of change in their society through civil engagement has become an important topic surrounding recent elections; such as the 2013 and 2017 general elections. A number of grassroots youth advocacy campaigns have begun to take shape, as the youth have successfully begun to negotiate their way into political participation and economic equality. Social media and communication technology have also played an important role in connecting the youth and empowering individuals to become involved in the political process. Social media lowers traditional socio-economic barriers to political involvement and provides youth activists with a platform to build capacity with one another and to mobilise political action. 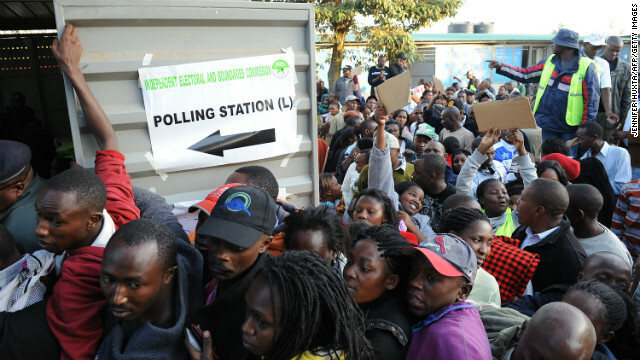 In order for both the 2013 and 2017 general elections to have been a success, young Kenyans had to have understood and supported the political process. Youth involvement in both elections proved to evolve past tribal differences as young people emerged as active participants and had a greater influence in developing national policies. Young Kenyans renounced violence and utilised programmes that allowed them to have a political voice and stake a claim in the election process. Kenyans must continue to stress this openness and forge bonds that supersede tribal and political differences in order to build a lasting national identity. The fear of and failure to adopt a mentorship culture in schools has led to decreasing performance, increasing poor staff relationships, tensions and reduced productivity. Although the private sector uses this tool as a management strategy to leverage performance, the concept is yet to gain traction in some schools. It is important that the top down, side to side and bottom–up approaches to mentorship be used in schools. In How to Build a Successful Mentoring Programme, Horace Mc Cormick, project director UNC Executive Development, acknowledges the importance of mentoring in shaping organisational culture. In the simplest form, corporate mentorship is the systematic and deliberate transfer of knowledge, skills and experience. The school leadership has a definite channel of career progression and advancement. This means that most school managers are largely people who have been in the field for considerably longer periods. It is, therefore, important that the leaders should create apt environments and time to mentor and prepare those in their team to be ready to lead. Strained relationships hinder transfer of experience. It has created when teachers who have operated within their comfort and zones are enable to grow and develop. Teachers who secure promotion and deployments sometimes end up underperforming because they did not benefit from a skills-transfer wherever they were. A leader should always expose people to different activities. A school is a diverse ecosystem that brings together employees from different cultural backgrounds, orientations, skills and expertise. Good environments allow teachers to share opinions, ideas and knowledge across departments and levels. The other avenue that has largely remained explored is the reversed mentoring. There has been a belief that newly employed teacher should be mentored by the older and supposedly more experienced colleagues. However, the new generation of teachers often brings some freshness, vitality and alternative approaches. School should leverage on diversity, create running systems, increase team capabilities, upscale performance and provide clear and effective leadership development plans. Agriculture employs a lot of young people and is likely to continue to do so in the future. But to meet the aspirations of millions who want rewarding work, the continent’s agricultural sector will have to change significantly. Today’s farming by machete and hoe does not appeal to the young or to policymakers. Farming is not even viewed as a “job” by many youth, who instead reserve the term for employment that requires clean clothes and a desk. Yet for a generation of young people entering adulthood, agriculture offers the best opportunity to move out of poverty and build satisfying lives. Markets for food are booming globally and in Kenya. Recent trends in income growth, urbanisation and diet have created a sharp rise in food demand. Farmers have an opportunity to bring more products to markets that consumers want and increasingly can afford. Who will serve these markets? Local farmers or outside producers? The answer depends on decisions that our leaders make regarding policies and public investments that affect the competitiveness of local farmers. We have abundant resources suited for agriculture – especially land, water and labour. Young people seeking to establish farms different from those of their parents and grandparents have many options, but they also face daunting hurdles. They can farm a portion of their family land, but to do so while earning higher incomes will require skills and capital to move into high-value forms of production, such as horticulture or small livestock. They also may venture out and establish their own independent farms, often in their same community. Malawi’s programme to redistribute under-utilised land from former tea estates created opportunities for local people to start new farms, and many who did so were young. Young people the world over often enter farming by renting land at first. The poor development of rental markets, however, acts as a major barrier to such opportunities. Paradoxically, it is easier for large outside investors to obtain farmland than it is for local young people. Those who can obtain land will need advice and mentoring to manage it well and access to grants or affordable loans to use as start-up capital. Many young people will not want to take the risk of establishing their own mid-sized farms, instead they opt for a combination of some part-time farming and supplying services to their neighbours, such as transport, simple veterinary services, repair of equipment, etc. Others may choose from an even wider range of wage-based work, from unskilled day labour to highly skilled positions on large commercial farms or in food processing. All of these options represent real opportunities for the young people. Policymakers must soon recognise the importance of agriculture for employment of the young, and redouble efforts to transform the sector. Despite years of commitments by leaders to invest in agriculture and a modest improvement in performance, change is coming too slowly. Leaders must convert their rhetorical commitment to agriculture into actions that transform the lives of millions of rural young people. Their efforts will be repaid with an outpouring of energy and initiative sufficient to raise incomes, improve food security, deliver better nutrition, and boost the balance of payments. Kenya’s youth dividend is in the countryside, and a vibrant agricultural sector is the mechanism through which to collect it. Currently, thousands of young boys and girls in the country are involved in neighbourhood/community based sports programs; comprising mostly of football or basketball tournaments. At a time when our children’s time is immensely squeezed between school-related activities, home chores, and even their own personal time – it’s fair to ask why neighbourhood/community leagues matter. The answer speaks less to how children find ways to exercise, and more to the challenges that will face them as they grow up in an increasingly complex world. Most of us of a certain age can remember childhoods filled with neighbourhood activities that involved physical activity and interactions that provoke rich memories, even today. Our parents let us outside in the morning and called us back for meals. School activities were open to everyone, regardless of ability. Today, most schools are cutting back on physical education programs; children are devoting more time activities that keep them inside, inactive, and apart from physical interaction with others their age. Many families are low-income households, free time is at a premium, and activity schedules are regulated. When I used to participate in neighbourhood tournaments, we couldn’t even remember what the score was of the previous match. All we could remember was that it was a glorious day, the sun was shining, and we were playing football with my friends. It has been more than twelve years since that day, and all of us have grown into adults. I still see some of these friends and former players from time to time. Invariably, they still remember their time playing football with their friends. More importantly, they retained the life lessons that neighbourhood leagues taught them, lessons that help during the often difficult path from childhood to becoming successful adults. In team sports, you may be a star attacker or defender, but without the help of 10 other players you cannot be successful. During my childhood tournaments, every one of the players on my team contributed substantially in winning at least one game. Some of them were gifted players; some of them were not. They were friends, classmates, and neighbours, before and after the game. During the course of the season, all of them learned to depend on the others, to take pleasure in the other’s success and find ways to work together toward common goals. Some of them continued to play football through their teen years, others went on to other sports and interests. All of them took their experiences from Little League baseball into their adult lives. More often than not, neighbourhood leagues are open to everyone; regardless of talent, ethnicity, gender, or ability. No one is turned away. There are and always will be opportunities for better players to play in highly competitive programs and even proceed to play for national teams. But talented players can learn far more from neighbourhood leagues than from those elite programs. A truly talented player is one who helps make an entire team better than it would otherwise be; one who understands that contributing to team success provides more benefit than can be achieved alone. A child that learns these lessons has all the perspective and tools to be a success in life. The world has changed a lot ever since I was a child, and it’s unrealistic to expect neighbourhood leagues to remain entirely as they were in the 1990s. Our sense of neighbourhood and community has evolved as well. Children today face many more challenges and pressures than we did as kids. The Alfred Polo Foundation is not involved out of a sense of nostalgia. The Alfred Polo Foundation is involved because in a world where interactions are increasingly impersonal and indirect, neighbourhood leagues provide a place where children can have fun, where they can learn important life lessons. It provides a sense of connection across generations, common ground between parent and child and a reminder of what binds us together as a community, and the source of our strength as a nation. As the world demography shifts sharply towards a younger workforce, one of the foremost challenges worldwide and more specifically in Kenya, is attracting, engaging and retaining young talent. These range from art, music, acrobats, and sports. Today, the country is represented in top-notch world competitions; football leagues, boxing, athletics, acting and many more. Examples include: Lupita Nyong’o, Victor Wanyama, David Rudisha and many others. Our great sportsmen/women and even actors have always ensured a point is driven home – that Kenya has the potential. Talent is the innate skill or capability of handling particular or different activities and everyone is talented in one way or the other. It is extremely important that we identify and nurture it from the very beginning the same way we would pursue a career through a formal education system. The role of parents in particular is very important in talent development. Their role is significant in providing an array of support as well as opportunities across a variety of environments. This ranges from the school, home with family, and in other community based settings, which target these initiatives across ages and key transitions from early childhood to middle school to adolescence and to early adulthood. Schools should and in fact must also cease using limited definition of intelligence that does not account for the different ways that children show their abilities, and shun exclusions when some learners have difficulty in showing their talents at all. Identifying a child’s talent is extremely crucial, and so is nurturing it. We have exceptionally gifted children who have fallen by the way on account of not fitting within the normal school system. So how many potential innovators and geniuses have we lost? The process is important at a young age because at this time, a child is like a lump of wet clay that can be molded to create a masterpiece. The right guidance can help them excel in their talents and imbibe facets of it as part of his or her personality. A well nurtured talent goes along with career choice, the two combined gives a requisite professional being able to perform and meet the expectations of any organization from the date of employment. However, availability of the ‘right talent’ is still a major challenge, not all graduates joining the workforce will come equipped with the right skills and work attitude. It is an unfortunate reality that only a few of the over many students graduating through our education system every year are considered employable. This scenario is always a product of talent not blended with the right career. At times our young people find themselves between the rock of what they are pushed to study and what they feel suits theme most. Such pressure must be eased and alternative methods of guidance provided to produce a generation ready to serve with generosity. The young talents come packed with ideas, energy and enthusiasm. They have very high expectations and require guidance to achieve their potential to the fullest. While they would look up to any leader who possesses experience and expertise, the leaders who really understand their dynamics are the ones that would embrace these young talents and allow them the right mix of autonomy and mentoring. It is widely recognized that engagement with the arts and creativity has huge benefits for individuals and society that cross many national agenda. It provides the framework to celebrate and further support the significant contribution of young people’s personal development, their well-being, their health, community and the economy.